Sushma brings with her over 14 years of diverse experience in the field of early stage investing, small business incubation and financial inclusion. At Aavishkaar, Sushma has worked to identify, manage and exit large number of companies and has worked closely with several inclusive business entrepreneurs. 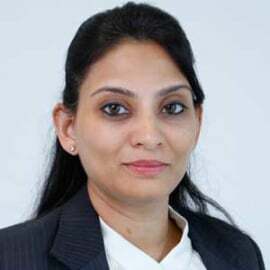 She started off with an entrepreneurial venture in engineering design services and moved on to a role in investments in Real Estate and Hospitality as a part of the acquisition team at Starwood Capital India Advisors. She has extensively evaluated transactions covering debt and equity structures. While at Ashoka-Innovators for the Public, Sushma got to work with social entrepreneurs in the 'Housing for All' initiative. She has worked closely on building collaborative partnerships in market based solutions for the low-income populations. Sushma has completed a strategic leadership program at the prestigious Harvard Business School, she is an engineering graduate from RVCE, Bangalore and has an MBA from the Indian School of Business, Hyderabad.